Although I am interested in the Classical world – more Greece than Rome, I must admit – like many of my peers I went to a school where Latin and Greek were not taught and so if I wanted to learn them, I would have to teach myself. I have a little Latin and less Greek, certainly not enough to get through a Classics degree, so I went off to do something else instead and kept my interest as a hobby more than anything else. A result of this is that I rely on translations of sources; I cannot read Homer and Herodotus in Greek and Virgil and Juvenal in Latin because my grasp of the languages simply isn’t up to it. Most of the time this isn’t a problem, as I’m not writing essays or building an entire historical theory around what I’m reading, but if you are – you really need to read them in the original, because sometimes the translations simply aren’t up to the job. For example, any classicist worth their Homer would tell you that Thucydides wrote his History of the Peloponnesian War in the most convoluted Greek imaginable, to the point where none of the conventional translations really capture what it was he was trying to say. The best commentary on the History runs to five volumes and is a good twenty times the length of the original, such is the difficulty of the Greek. This means that any version I read – because I don’t speak Greek – is going to be flawed to a greater or lesser degree. As I said, this isn’t really an issue for me as I only read for enjoyment. 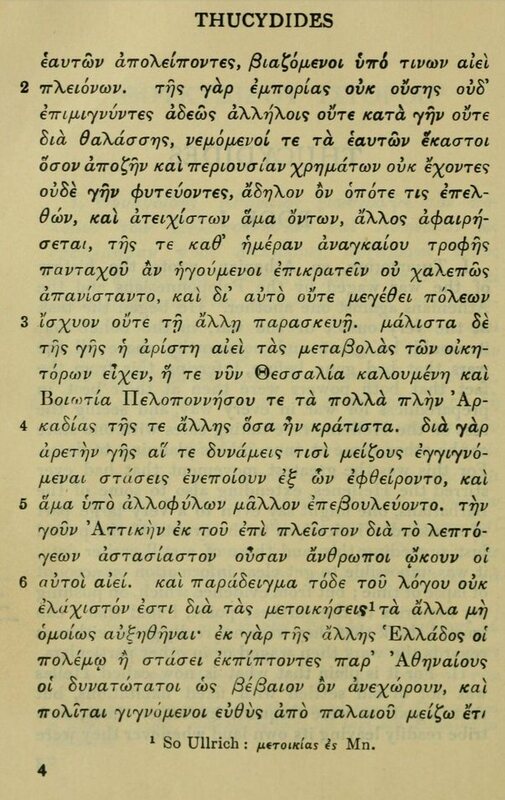 Perhaps it would be interesting to read different translations of Thucydides and see if it’s possible to read between the lines, as it were, and see if it’s possible to reconstruct his original text – but that’s a lifetime’s work and not one I have a taste for. However, if you are contemplating Classics for a degree, do make sure your Greek and Latin are as good as they can be – you’ll find them invaluable. 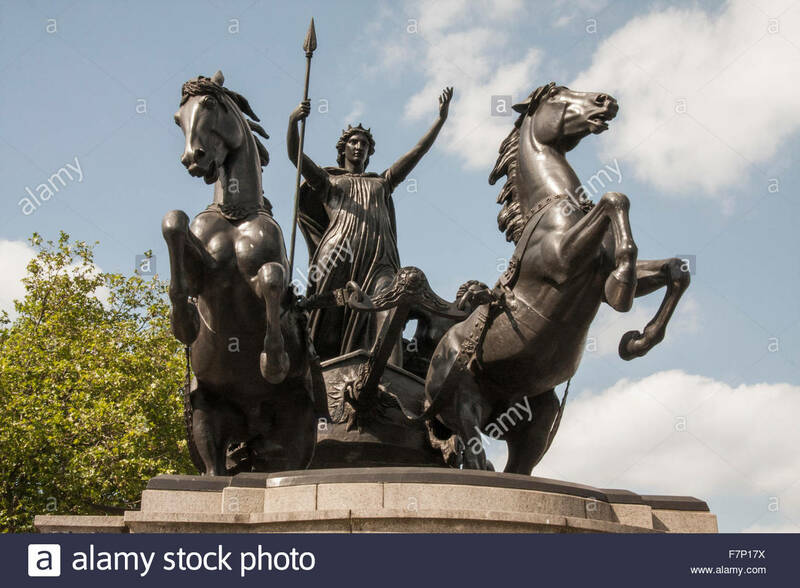 I expect that most people at least recognise the name Boudicea and recall that she was the Queen of tie Iceni who defeated the Romans in battle before a rather ignominious death and magnificent burial. In fact, she has rather more in common with Harry Potter, in that everything we know about her comes from texts provided by other people. In Potter’s case, we can blame JK Rowling for his biography; in Boudicea’s case, we look to Tacitus and Dio. Unfortunately for us, two thousand years after the event, it’s not only clear that Tacitus and Dio’s biographies of Boudicea disagree on virtually every aspect of the story – up to and including her name, location and tribe – but there is also very little in the way of concrete archaeological evidence about her. What there is plenty of is speculation; she may be buried under Platform 8 of King’s Cross Station, or under Stonehenge, or goodness knows where. The fact is, we simply don’t know for definite. So this puts Boudicea in the same place as Harry Potter, in that everything we know comes from a story. The difference is that modern readers understand that Harry Potter is a fictional character; I am not aware that we have any evidence that Boudicea was not. For all I know, she is a symbol, much like Robin Hood, of people’s rebellion against the ruling classes. My fear is that in two thousand years’ time, people will seek the entrance to the Hogwarts Express by excavating platform 9 of King’s Cross Station in the hope of finding the magical passageway. I don’t wish to detract from what evidence of that period that does exist. There is plenty of evidence that a huge rebellion took place about 61 AD, and that many people died. It’s just that there is nothing conclusive to say that any of this is Boudicea. It may be that, like Robin Hood, Boudicea didn’t actually exist; but if she did, I want her to look like a cross between Merida from Brave and Brienne of Tarth. I really fancy the new Monet exhibition at the National Gallery. When I was last there, an assistant told me that there were going to be seventy five paintings on display, which is quite a lot of Monet. As are the ticket prices, currently being listed as £22 for non-members over the weekend (It’s cheaper during the week, but not much) although members (typically) go free. 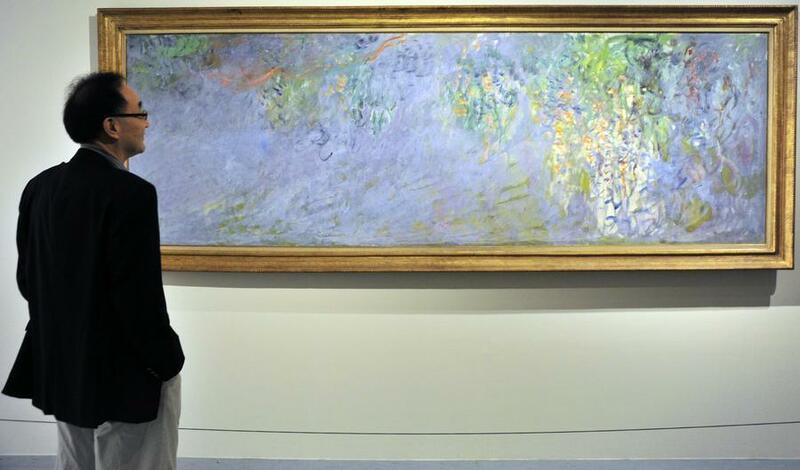 Clearly, the Gallery intend to make a bit of money out of it, given how popular Monet is. Once I’d recovered from the shock, I reflected on how I would feel when tickets go on sale for the Van Gogh exhibition at the Tate next year – that will be another popular one, I expect. I know I baulked at paying £10 for Georgia O’Keeffe at Tate Modern, but (a) I don’t really like Georgia O’Keeffe very much and (b) I detest the Tate Modern. I don’t like Tate Britain much either – it’s very badly organised – but the exhibition spaces are wonderful. Besides which, I would happily pay twice that amount to see Van Gogh’s British paintings. People are saying that one thing which has to be remembered with this Monet exhibition is the number of paintings being made available – and that many of them have never been seen together. This was the same argument used by the Royal Academy when they had a room full of his Water Lilies – four of which took up entire walls. It really was overwhelming to see, but easily justified the entrance fee, which I think was about £20, and that was over ten years ago. I suppose the question isn’t really whether £22 is a lot of money to see seventy five Monets, but whether I like Monet enough to pay £22 to see seventy five of them. I’m not sure I do. He’s not Van Gogh, after all. When Is A Rebellion A Rebellion? 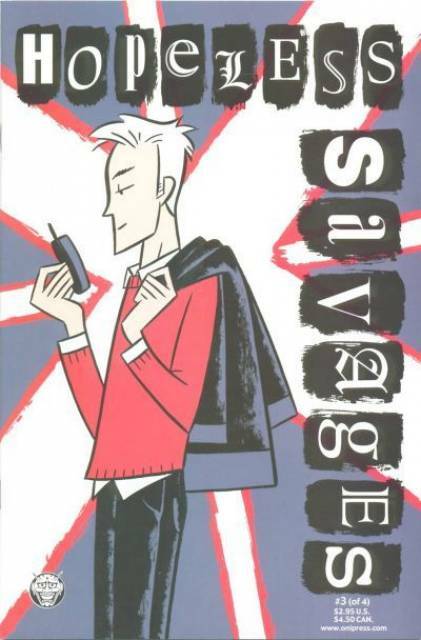 Somewhere in the depths of my comic collection is a short four-issue comic called The Hopeless Savages; the central characters are a family of counter-cultural punk rockers who live off-grid and rebel against the social and political norms – so they are left wing if the government is right wing and so on. It all goes a bit pear-shaped when their oldest son decides to rebel against his parents – as children are wont to do – and accepts a job at a large global coffee corporation (based on Starbucks, I don’t doubt), which causes concern amongst the family. As a question, it’s proved fairly pertinent, as I am now struggling my way through a more difficult Camus (given how wonderful I found The Plague), his book long essay on revolutions, The Rebel. It’s not an easy read, but given how I seem to be carrying around the plight of the Hopeless Savages in the back of my brain, it is proving an interesting one. I wonder if there is ever a point where it is no longer rebellious to rebel? I fear I’m lapsing into semantics now, so I’m going to read a little bit more and see how I get on. I’m not sure that reading The Rebel is proving to be a good idea; not only am I having a number of illusions shattered, but I’m actually learning something, I’m not entirely sure I like what I’m learning, but I’m equally not entirely sure that now I’ve learned it, I can unlearn it. If you don’t want to be in the same position, don’t read any further – if you do, don’t blame me. There are things about revolutions that I admit I’ve never thought about. Perhaps I am by nature a rebel, in that I’m always protesting about something, but I’m not really a revolutionary. There’s a significant difference, which Camus explains in great depth, but there are a few things that he pointed out that I would like to share with you, although I’m aware that some readers may view it as hair-splitting, semantics or (at best) high philosophy best discussed over a large absinthe. For example, there is no such thing as a revolutionary government. A revolution is a complete change from what went before – so replacing a government with another government is achieving nothing and is certainly not a revolution. If you are aware of Hegel’s dialectic of history, you will probably follow this argument better, but if not, don’t worry. 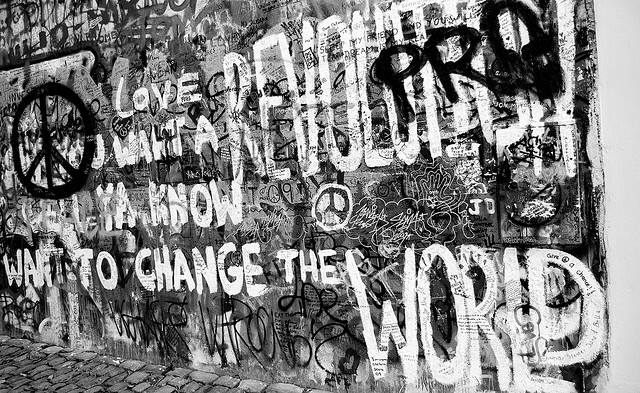 The best way to think about the nature of revolutions is as a clock – start at 12 with the status quo, work your way down to the revolution at 6 – the polar opposite of the status quo – then it inexorably works its way back round to 12 again, where the “revolution” has now become the status quo and a new revolution will follow. It’s a lot easier to imagine than to explain, I assure you. Another thing is that revolutions always start with a murder, and that murder will always lead to more. Now, I’m not sure this is true in every case, and I’m fairly sure there are examples of non-violent revolutions, but I think Camus would probably argue that those examples are not true revolutions. All true revolutions start with a murder, and he explores (again, in considerable detail) both the French and Russian Revolutions* – and both of these involved regicide. On this basis, then, the English Civil War of the late 1640s would also be classed as a revolution, although that ended with the death of a monarch. Now, the bit that follows is tricky to explain but I’m going to have a go. Once murder has been justified for revolutionary purposes – by murdering the monarch to remove the status quo – it is not then justifiable for the murder of anyone else to be prohibited. This almost inevitably leads to a terror, and this was the case both in 1790s Paris and in Russia in the late 1910s, where large scale purges of the aristocracy and bourgeoisie led to deaths on a massive scale. Again, if we apply this model to the English Civil War, we can see similar things happening – once Charles I had been executed, it was politically prudent to be Puritan, even if you thought it was a bit strict. What this means is that true revolutions are extremely rare (and given that Camus only explores two, and I can only add one more to that, reinforces this point). It puts the so called “revolutionary rhetoric” into some context and I’m not sure I like it given that I read an awful lot of Marx in my younger (and probably more left wing) days. I certainly wasn’t advocating mass murder, but ultimately, that is what revolution will involve. If you’re okay with that, then you’re probably a true revolutionary. If not – well, I’m sticking to rebellion. * But not the American one, interestingly. Perhaps he views this as a War of Independence, rather than a true revolution? London used to be full of prisons. Most of them were extremely well known and some names are still familiar – more so if you read nineteenth century novels. Yet apart from Wormwood Scrubs, Pentonville, Holloway and Wandsworth, the overwhelming majority of prisons simply aren’t there any more. Having read Oliver Twist and Affinity (by Sarah Waters), I thought it might be interesting to have a look at some of the better known of London’s lost prisons. 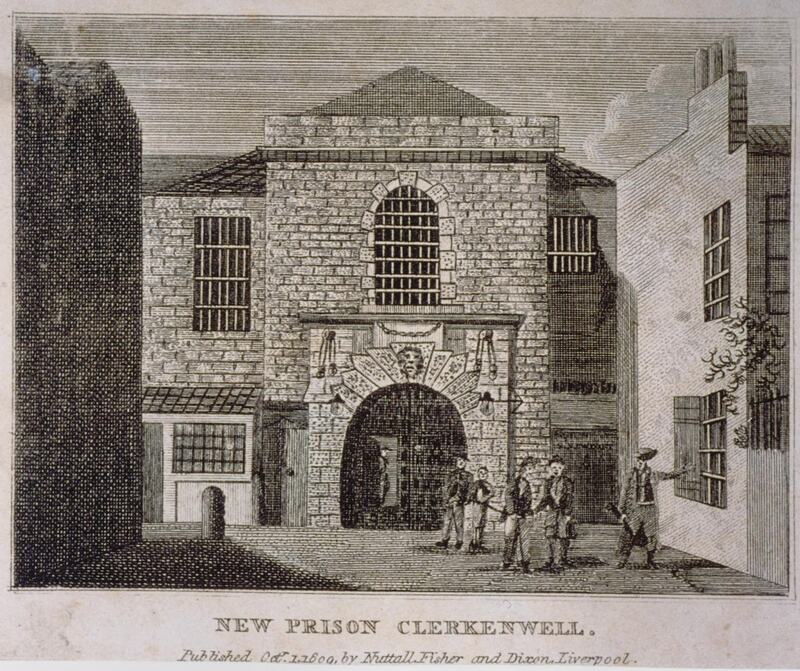 Dickens mentions many of London’s prisons in his novels; in Oliver Twist it is Newgate, which at that time was the central criminal prison in London. The inmates were famous, and their exploits were regularly published in The Newgate Calendar, which also gave details of executions and sentences as well as the crimes. Some of the old cells now form part of the Old Bailey – I think they are holding cells for defendants on trial – but they can be viewed by appointment I believe. Dickens also used the Marshalsea Prison as a setting in his novel Little Dorrit. Unlike Newgate, the Marshalsea was a debtors prison and it was demolished in 1852 with the inmates being moved. Dickens’ father was a debtor in the Marshalsea and all that remains of the building is a part of the original wall. It was situated in Southwark, just overlooking the river, and also housed men convicted of crimes at sea. However, given that nearly half London’s population were inmates of debtors’ prisons, you can guess what the majority of the inmates were there for. Sarah Waters sets her second novel, Affinity, in Millbank Prison, a beautifully designed prison in Pimlico. It was both a men’s and women’s criminal prison and a holding facility for convicts awaiting transportation. It was loosely based on Jeremy Bentham’s Panopticon, his vision of an ideal prison, being built in a “flower” shape. Unfortunately, the site was redeveloped, and Tate Britain now occupies most of the land, with the remainder forming part of Chelsea College of Art and Design. Another ancient prison in London is The Fleet Prison in Farringdon, which started as a criminal facility and ended as a debtors’ prison. It went on to form part of Ludgate Station which, in turn, was redeveloped to be part of City Thameslink. 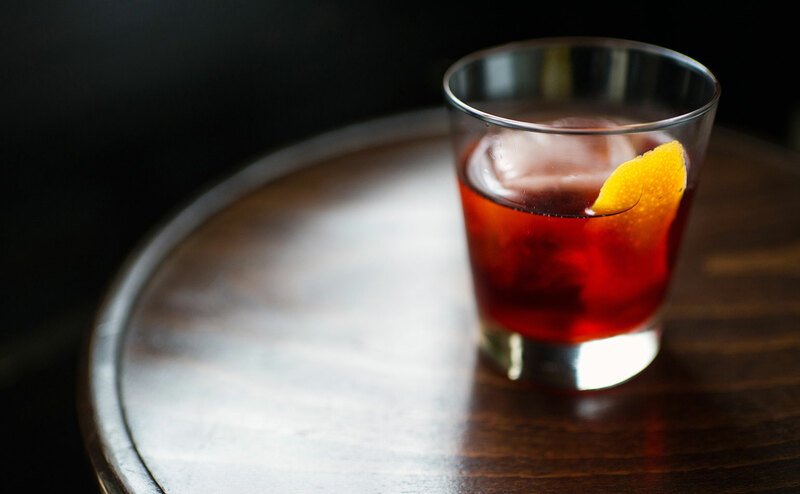 However, if you want to find out what these old prisons were really like, it is possible to visit The Clink Prison Museum in Bankside, on the site of the original Clink Prison (“clink” is also a London slang term for a prison). They have put a great deal of effort in recreating some original cells and it would be a really interesting insight into (for example) Little Dorrit, if you happen to be reading that. I must admit that given the number of Victorian prisons still operational – I live quite close to one – I’m surprised that so many have been mothballed. It is fair to say that the conditions weren’t wonderful, but given the current crisis of overcrowding, perhaps bringing some back online on a short term basis might not be a bad idea. Now here’s a scary thought. Take a classic of Victorian literature and without changing the plot substantially, rewrite it in a modern setting. Can’t be done? Unfortunately, the only thing missing from a revamp of Oliver Twist would be the workhouse, and I’m not convinced we’re far away from its return. Pretty much everything else, including the criminal gangs and the magistrates’ courts, haven’t substantially changed. For a book that’s almost 190 years old, I think that’s pretty shocking. Anyway, following this thought, here’s how it would go. A young pregnant woman, living on the streets, gives birth in hospital but dies in childbirth. 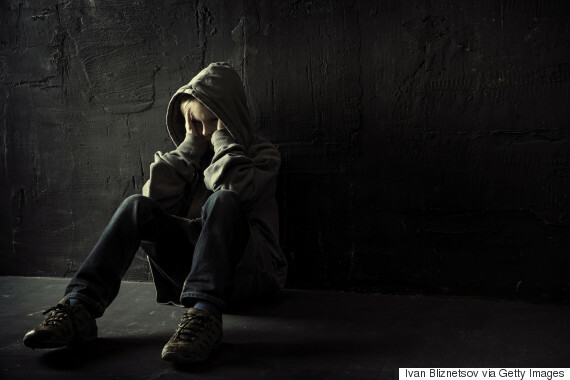 The child is placed into foster care initially, and then into a children’s home where he runs away after being abused by the carers. He falls in with a gang of young boys who all share a squat with an older “mentor”, who fences what they steal. Their near neighbours are a prostitute and her partner, a violent burglar. Oliver is arrested for a petty theft he did not commit and is about to be convicted when the prosecution allows that new evidence has come to light indicating that he is innocent. Oliver briefly escapes the gang and lives with philanthropic Mr Brownlow, only to be kidnapped and returned to his former life of crime. However Nancy feels sorry for the boy, who is treated more cruelly than before, and arranges with Mr Brownlow to have Oliver legally returned to live with him., but Sikes discovers the ploy and murders her. Oliver flees, returns to Mr Brownlow only to discover that Brownlow is, in fact, his maternal grandfather and who arranges to adopt him. That took me slightly less than ten minutes (it only took me that long because I forgot Mr Brownlow’s name and I had to look it up) and, as you can see, I’ve barely tweaked the plot at all. Isn’t it appalling that in two hundred years, such a story could still be told – and be believable? I don’t have solutions to such deep-seated problems, but it strikes me that in all that time, very little has been done to alleviate them. Indeed, the only real difference between the London of Oliver Twist and the London of now is the lack of a workhouse – but instead, we have food banks and charity shops. It’s not really good enough, is it? It’s only a short episode near the beginning of the novel – indeed, I think Dickens ever so slightly skims over it to get on with the delivery to Fagin and the fun bits of the book – but for a while, Oliver Twist was a funeral mute. These were very common at Victorian funerals – the middle classes wouldn’t be seen buried without them – but they’re no longer used as burial itself has gone out of fashion. So what was their role in the funeral? 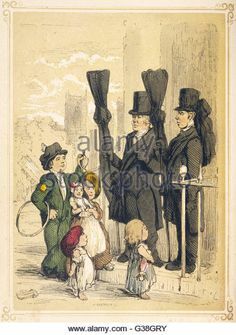 According to that bastion of knowledge, Wikipedia, the main purpose of a funeral mute was to stand around looking sad, initially at the door of the deceased’s home before leading the funeral cortege to the churchyard, and then at the door of the church. They were almost all employed by the undertakers rather than the bereaved, and formed part of the funeral package alongside the coffin and the service. They were considered symbolic protectors of the dead until their committal into the ground. This practice died out with the onset of the First World War, partly due to the sheer number of deaths in that period but also because of the increased popularity of cremations, partly as a result of increased secularisation but also (especially in the UK) due to lack of space. As funerals became more expensive, people realised that they couldn’t afford a horse-drawn hearse with plumes, half a dozen mutes, two professional mourners and a three hour requiem mass (or CofE equivalent). So non-essential elements simply dropped away – virtually nobody has professional mourners and mutes anymore, although you do still see the occasional horse-drawn hearse, especially in the East End of London. The Victorians had a very definite way of doing death and it’s possible that they went over the top – I certainly don’t fancy spending five years in mourning when my husband dies or three years for my daughter – but they had some lovely traditions which, if you can afford them, you really should think about bringing back.